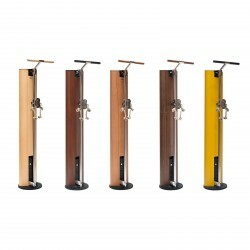 NOHrD multi-gyms integrate perfectly in each living ambiane with their simple, elegant wood design. The applied cable pull technology results in an enormous flexibility of the course of motion and thus provides a high variety of exercises. Being a NOHrD multi-gym, the SlimBeam was awarded with the German Design Awards by the jury in 2016. Functional training on an elegant multi-gym - the NOHrD cable machine SlimBeam. Numberless exercises can be done with it, getting you in shape. 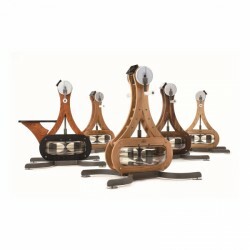 It fits in every living environment or your fitness room with its precious wood design. The NOHrD multi-gym Weight Workx is a well-thought out multi-gym for home use, which sets standards with its clever design regarding home multi-gyms. 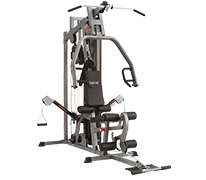 The fitness tower Weight Workx offers versatile workout possibilities on smallest space. The NOHrD multi-gym needs less than 1 sqm of surface in folded position. Besides many options for your strength training (cable pulls, bench, chin up bar, wall bars, etc. ), the NOHrD multi-gym Weight Workx sets apart from other multi-gyms by one special thing: it just looks good. 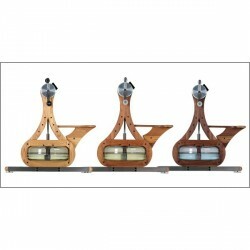 The combination of wood and leather with 14 weight blocks, each of 5 kg, fits perfectly in each living environment. Der The NOHrD torso trainer WaterGrinder is based upon a water resistance system and is excellent for exercising strength and stamina. 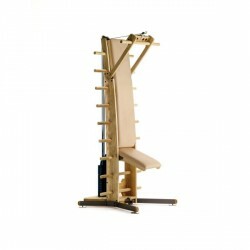 The torso trainer integrates optimally into your living concept by its precious frame made of high-quality wood. The NOHrD multi-gym DoubleWorkx ash offers you the possibility to train both body sides simultaneously (bilateral training). Of course, you can also train together on the training station. The innovative DoubleWorkx combines a precious NOHrD Wallbar with two cable control units. Exclusively only available at Sport-Tiedje! The NOHrD torso trainer WaterGrinder Beech is based upon a water resistance system and is excellent for exercising strength and stamina. 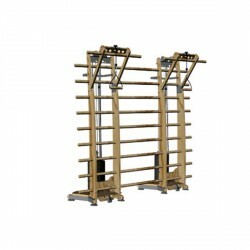 The torso trainer integrates optimally into your living concept by its precious frame made of high-quality wood.